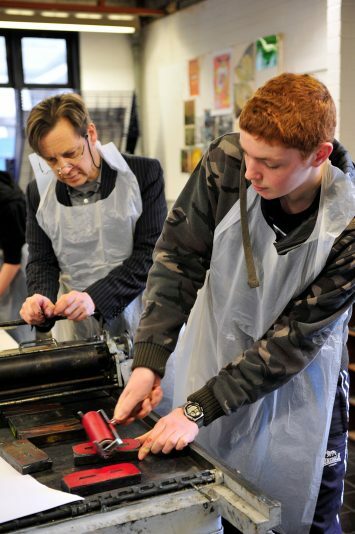 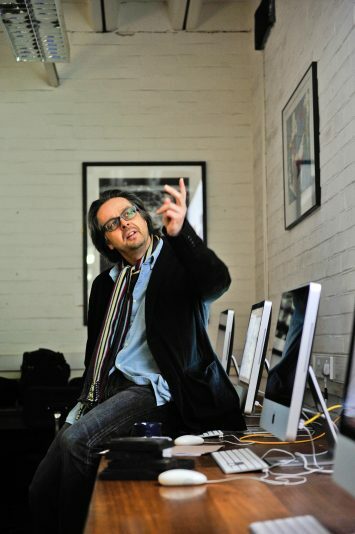 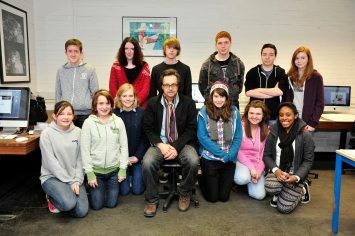 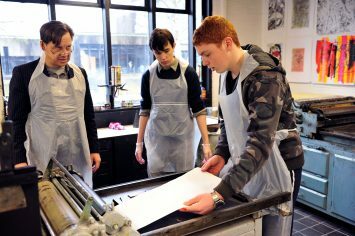 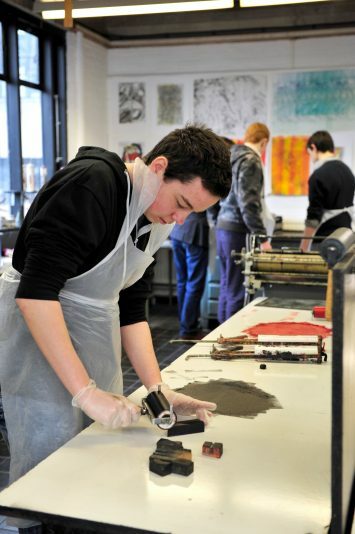 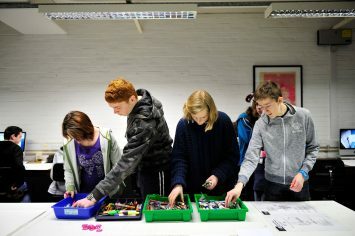 Somerset College’s Art&Design Club were given a Masterclass by graphic designer Michael Johnson. 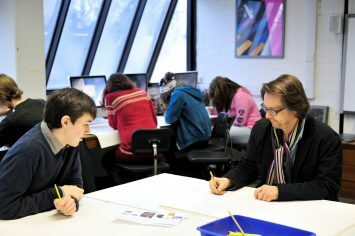 Michael introduced the Club members to the ways in which designers employ type to make messages more powerful using illustrations, showing different ways of bringing words and type alive. 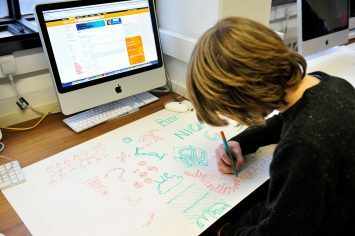 He asked the group to select from two options: turning words into images or images into words. 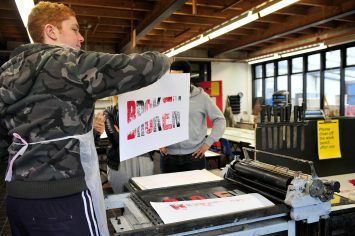 The young people were shown how to use typography working with both Apps Mac computers and traditional wooden letterpress type.